As hearing aids become smaller and more technical. 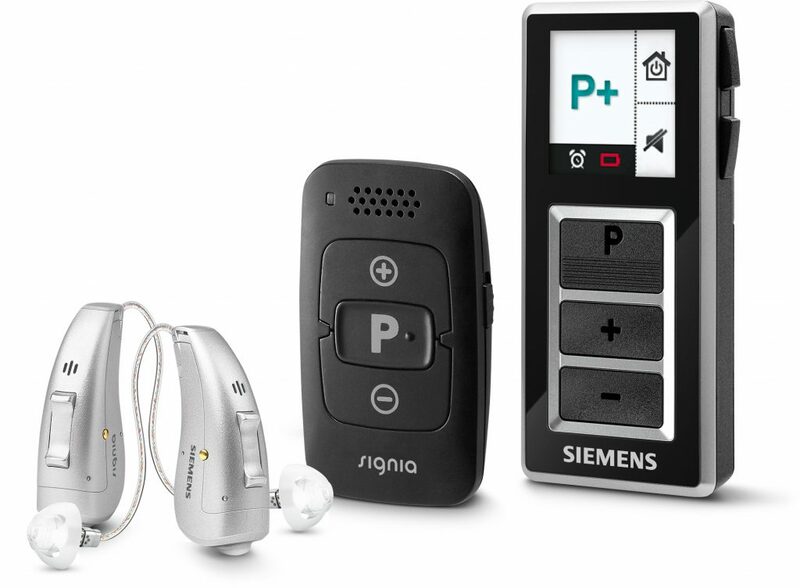 Wireless remote controls are replacing external volume wheels and buttons on hearing aids. Some hearing aids allow you to connect with Bluetooth-capable devices through a special remote control. This means your hearing aid can function as a cell phone, computer speaker or music player with the push of a button on your remote control. Hearing aid remote controls can be useful once you learn how and when to use them. Who doesn’t need another interesting technical gadget to play with. Every hearing aid manufacturer offers a wireless remote control. Not all levels of hearing aid technology are remote-control compatible, but if your hearing aid has wireless capabilities, you can get a remote control for it. A remote gives you more hearing options then old-fashioned volume controls and buttons. Hearing aids that have wireless capability are computer programmable, meaning, adjustments are made and stored on a computer chip inside your hearing aid through your hearing health care provider’s computer. A simple wireless remote allows you to make similar adjustments in tone, volume, sound quality and programs within your hearing aids. Simple hearing aid remote controls have right and left ear buttons for volume + or –, high tone or pitch and low tone or pitch + or –, a program button or numbered buttons for program memories and a battery life indicator button. Most simple remotes will be the same, give or take a few features. Some remotes have buttons named quiet, restaurant, party, noise or telephone. Each button changes the memory inside your hearing aid to a pre-set program for different situations. So if you’re having trouble hearing at a party or restaurant, try pushing the corresponding button on your remote control and see if you can hear better. After changing the settings of your hearing aid via remote control, wait 5 to 10 minutes for your brain to adjust. Keep slowly trying different settings until you find the best one. Every setting on your remote control—including the range of volume you have control over—can be adjusted by your hearing health care provider. Always carry your remote control with you. If you’ve forgotten what each memory or program button on your remote does, make an appointment with your hearing health care provider to go over the features on your hearing aids and remote. Bluetooth technology can be found in some hearing aid remote controls, making your hearing aids Bluetooth compatible. However, the hearing aid needs the remote to connect to a Bluetooth device. Basically you sync the remote control with three to four of your favorite Bluetooth capable devices—designating a button on your remote for each device. When you want to connect to a device use your remote control, the signal travels from the device, through the remote and to your hearing aids. You only can use one Bluetooth device at a time. For example, if you have your cell phone synced to your hearing aid remote, you can answer your cell phone through your hearing aid, hearing clearly through your hearing aid. Remote: Yea or Nay Remote control features—like you needed another thing to consider when shopping for new hearing aids. If you’re active, social and often in noisy environments–the more control you have over your hearing aids the better you’ll hear in varied listening situations. A remote control does not have to be used every day; modern hearing aids are programmed with your hearing-loss information and are completely self-adjusting. A remote control is nice to have when you’re first getting used to wearing hearing aids and things might be too loud. When you’re going to be in a new social situation and want to make sure you hear everything, having a remote gives you more choices to improve your hearing. For the Bluetooth-capable devices, you need a remote control to use that feature of the hearing aid. These advanced features will take some time and patience to learn how to use. You can always return to your hearing health care provider’s office for a refresher on using Bluetooth with your hearing aids. Having a remote control for your hearing aid is not a bad idea–even if you rarely use it. However, if you have to pay extra for a hearing aid remote control, try using your hearing aids without a remote for two to three months, and you may find there’s no need for adjustments. You can always purchase a hearing aid remote at a later time if the need arises.